GlobeCore is a leading manufacturer of various equipment, such as transformer oil purification and regeneration plants, bitumen emulsion plants, bitumen modification plants, fuel blending systems and bio-diesel production system, employing over 150 staff on the production team based in Oldenburg, Germany. Our products are well known in the USA, Europe and Asia. While we are open to business anywhere in the world, we are also focusing on Africa. “GlobeCore representatives often travel to clients”, says Stanislav Sukhar, GlobeCore’s export manager. “We provide operators with training and startup assistance, we also organize seminars to share our experience in oil purification and asset management”. One such seminar was held in Kampala, the capital of Uganda last April. The focus of the seminar was the advantages of transformer oil regeneration by Fuller’s earth, and also on operational and environmental benefits of regenerating oil instead of replacing it. Uganda and its neighboring countries are interested in electrical power development: within the next five years they will receive substantial investements from the World Bank to improve their national grids and make electricity accessible to population. At this time only 3 – 5% of Uganda’s population have access to electricity and there are many cities in the north of Uganda without electric power at all. Less than 2% of rural population has access to electricity, with less than half of that being provided by the national grid, other sources being household generators and solar panels. According to Yevgeniy Svirid, GlobeCore’s lead engineer, traditional power plants are still the main providers of electricity around the world, despite the growing importance of alternative energy. Such power plants still need equipment replacements and upgrades. 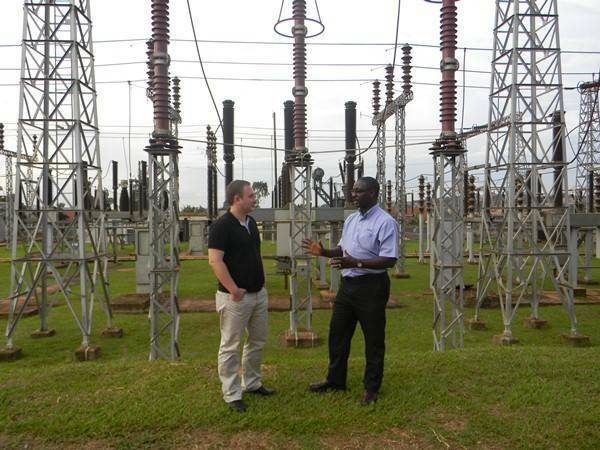 Until Uganda receives the aid of almost 3.5 billion dollars over the next several years, which it needs for construction of Kawanda-Masaka transmission line and the related substation and 600MW power plant in Karuma, a lot can be done to preserve current assets – especially the most expensive of them, the power and distribution transformers. Uganda Electricity Transmission Company Limited (UETCL) has teamed up with GlobeCore to upgrade their transformer oil purification plants. The company made its choice after a recommendation from Nigerian Power Holding Company, a partner of UETCL, which now operates eighteen GlobeCore mobile oil purification plants. UETCL fully understands the importance of transformer maintenance, says Christopher Mutyaba, the Head of Maintenance Department at UETCL. Accroding to him, transformer failures are, unfortunately, quite common, and cause frequent power outages. The population has to do without electrical power for six months, until a failed transformer can be repared or replaced. Mr. Mutyaba noted that transformer down time causes a significant loss revenue and growing customer dissatisfaction. The latest in GlobeCore developments allow to address the issue of excessive foaming in the vacuum chamber of oil purification plants, which is often the case with old and contaminated oil. Since UETCL operates many remote substations, the oil purification plant is outfitted with fully automated PLC control system and a GSM module to minimize supervision. The German equipment is well know in Africa, especially so in Uganda. The country operates transformer oil filtration unit purchased back in 1991. While the machine is still in fair condition, GlobeCore can replace most of its major components required to satisfy the growing demand for the quality of transformer oil imposed by modern transformer manufacturers.